For those of us who swim, paddle, fish, hunt, or simply just enjoy the flowing waters of Central Texas, no water means no play. While aquifers—those vast underground rivers—remain mysterious and unseen far below us, they have a huge impact on our everyday life. Not just for drinking and showering, but for recreation as well. 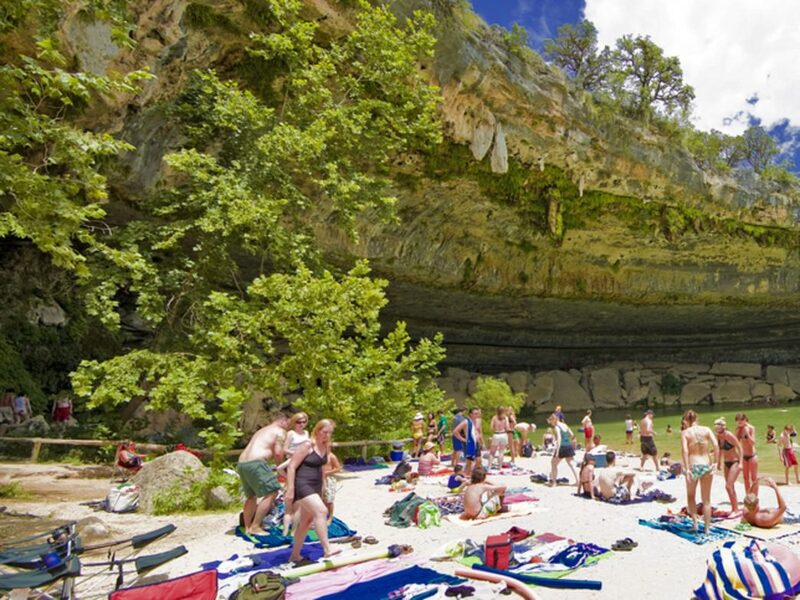 In addition to water playgrounds like Barton Springs, take Jacob’s Well in Wimberley, for example, one of the finest swimming holes in Central Texas. For the first time in history, the spring, which is fed by the Trinity Aquifer, dried up completely in the year 2000. Then it happened again in 2008. Years ago, it would be impossible to descend more than two feet below the surface because the spring would bubble you up with incredible force. Parents would toss their children into the well smiling and without fear, confident they’d bob right back up. Some historians even say that in past centuries the spring would shoot as high as 30 feet above ground! This was all because of the strong aquifer flow. But now, due to major development in the area as well as drought and overpumping, all we have are distant memories of the past and ongoing measures in the present to address water conservation and quality of the aquifer. Yet, even attempts like these don’t ensure protection. 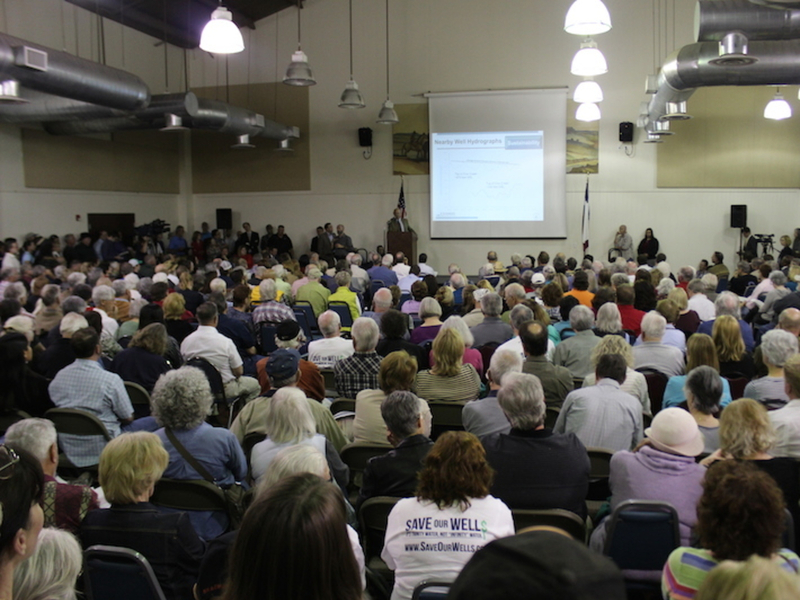 On Feb. 10, a furious crowd overflowed the Wimberley Community Center to demand that state Rep. Jason Isaac (R-Dripping Springs) put an end to a commercial groundwater-pumping project in Hays County. The project is planning to pump 5.3 million gallons of water each day from the Trinity Aquifer and, for a pretty penny, sell more than a million gallons a day to the city of Buda. But action to stop the project remains to be seen. Underlying this conflict is a critical issue highly likely to boil up in increasing frequency across Texas as water resources diminish and the population swells. “No natural resource issue has greater significance for the future of Texas than water,” says Dr. Andrew Sansom, executive director of The Meadows Center for Water and the Environment. Everyone knows rain in Central Texas is sporadic, unpredictable and, more often than not, infrequent. Now stop for a moment and imagine if we had to rely solely on rain to keep our rivers and creeks flowing. For almost two decades now, Texas has suffered under record drought. And as we already are seeing in many spots, some of Austin's best paddling trails may become a lot less enjoyable in shallow, still water. Fortunately for us, aquifers capture and store rain and release water over time into our rivers, streams, and springs. And yet, such aquifers are threatened by projects like the one near Wimberley. Even though the Trinity aquifer, which the controversial project is targeting, may seem relatively distant from Barton Springs, it is intricately linked. 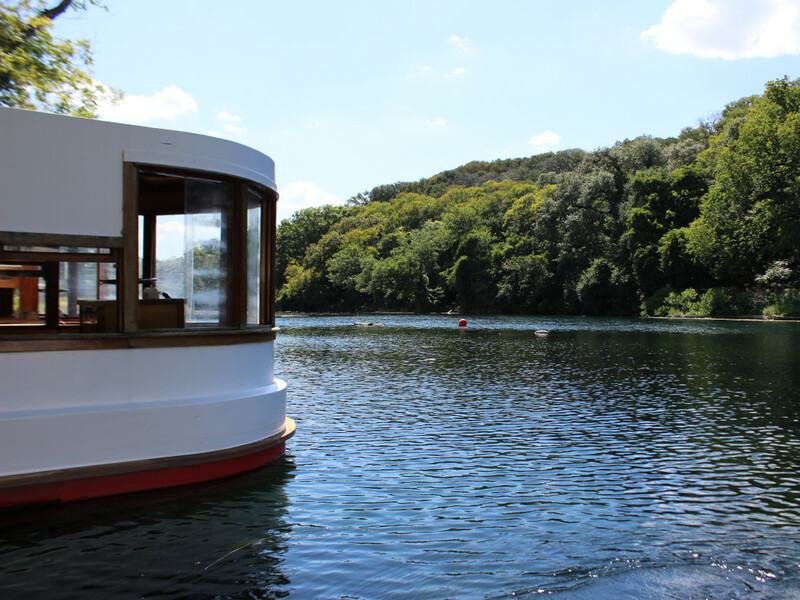 The Trinity aquifer feeds the Blanco river, and during droughts, the Blanco feeds Barton Springs much of its water, according to Nico Hauwert, senior hydrogeologist for the City of Austin Watershed Protection Department. To put this connection in real context, "If the baseflow to the Blanco river near Wimberley were to cease," reported Hauwert, "Barton Springs could dry up in three months." All aquifers in our region affect our outdoor recreation. Swimmers, divers, paddlers, anglers alike—all are impacted by the water that is or is not in Central Texas aquifers. 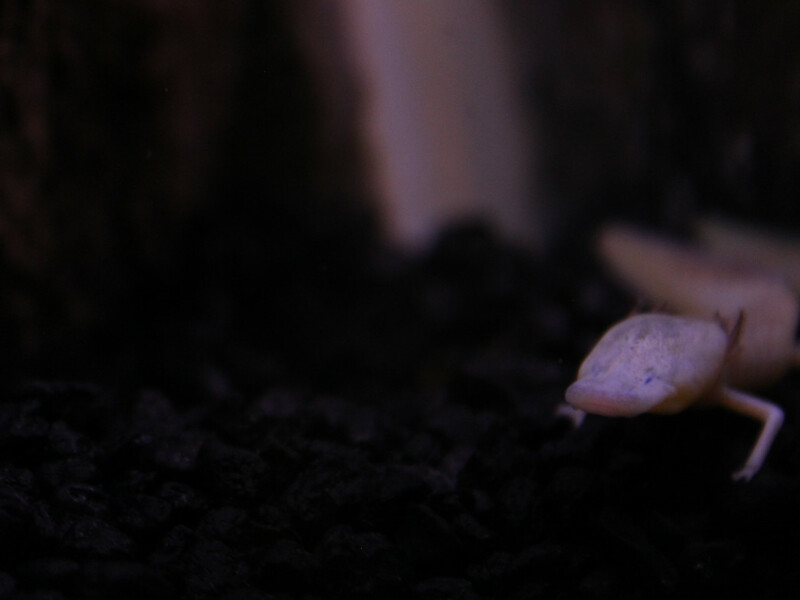 Additionally, there's the impact this would have on endangered species that are entirely dependent on these springs, such as the Texas Blind Salamander that lives only in the Edwards Aquifer. Whether you love diving into a deep well of water or simply observing the wildlife around you, this is an issue that affects you directly. So when will Central Texas water playgrounds dry up? It seems that's up to us. Voice your concern about aggressive pumping. Visit SaveOurWells.com and consider signing this petition. If you're in Buda or Wimberley, or almost anywhere in Hays County, you may be directly affected by the current controversy over Electro Purification's aggressive water pumping from the Trinity aquifer. Learn about your aquifer authority or groundwater conservation district. You vote for your board members—find out who shares your goals for a healthy aquifer and who might have less-than-pure motivations for controlling how much is pumped. Grow food, not lawns. Today lawns are the largest modern water wasters. How about planting some butterfly- or bird- attracting plants instead? Or food for yourself. When your neighbors see the wonderland you’ve created, they’ll want one of their own. Xeriscape. Xeriscaping is a method of landscaping and gardening that utilizes water-conserving techniques. More than half of our fresh water supplies go to landscaping, so this method is highly promoted in drought-sensitive Central Texas. Join a citizen science group, such as the Texas Stream Team, that is dedicated to learning about and protecting the 191,000 miles of waterways we have here in Texas. Read up on other ways to conserve water, such as the Water—Use it Wisely website, which offers nearly 200 water-saving tips that you can download, print, and even share on social media.